Child sexual abuse advocate Manny Waks has cut off communications with Melbourne’s Yeshiva Centre following its announcement of a new contract with Rabbi Zvi Telsner. A statement on his website entitled Yeshivah victims outraged at new contract offer to Telsner states: “Telsner’s re-appointment sends a clear message to the community that no matter how badly or how violently you attack child sexual abuse victims, Yeshivah will take little, if any, action. And it also sends a message to victims – that Yeshivah still do not ‘get it’ and you will find no support from within that community. Despite all of the injustice that Yeshivah’s victims have experienced, it is again apparent that the Yeshivah community is determined to prolong our suffering by denying us the justice that comes with holding to account those who have hurt us. “As you know, settling the matter of Rabbi of the main Yeshivah Shule, has been top priority of the CIVL Board. We have considered feedback received from many groups of stakeholders including CIVL [Chabad Institutions of Victoria] members, broader Yeshivah community members, the other Moisdois [religious institutions], Halachic [Jewish Law] authorities, legal authorities, political entities, donors and supporters in the wider Jewish community etc. Motivated by a genuine desire to move forward, we have been in comprehensive discussions with Rabbi Telsner and Rabbi Telsner has shown great support in enabling Rabbinical renewal within the main Yeshivah Shule and broader institutions. Rabbi Telsner and the Board have reached a mutually beneficial agreement. 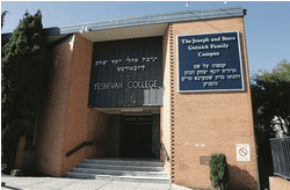 Rabbi Telsner does not and will not be holding any formal position within the Shule. The Board recognises Rabbi Telsner’s value to the community and as such, the CIVL Board has chosen to retain Rabbi Telsner to perform non-congregational/non-pulpit duties. Members of our community may choose to engage Rabbi Telsner in an individual and private capacity going forward. Disgusting on all levels. Yeshivah needs to be shut down if they are going to continue to support and pay people who cover up child sexual abuse. Rabbi Telsner moved to Melbourne and 2007, according to all accounts csa in Yeshivah happened in the late 80s and 90s how could he have covered it up if he wasn’t even there? Telsners role in this cover up is well documented, to say he is free of liability is incorrect. We look forward to the restrospective legislation being implemented by the respective parliaments to deal with people like this.